Canvassing opinion in the largest city of the Ruhr Area last week, it was clear there was one Europa League fixture supporters wanted more than any other: Borussia Dortmund against Liverpool. 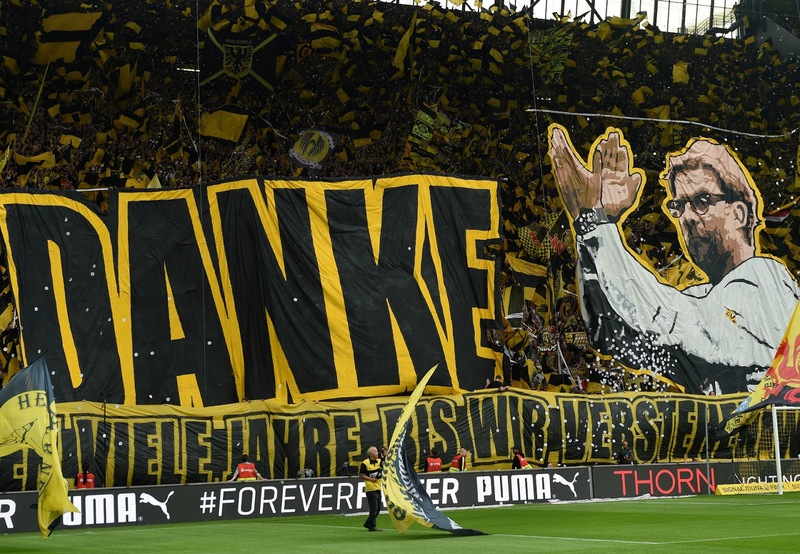 In the yellow and black blur that paints Signal Iduna Park, the affinity for Jurgen Klopp still runs deep. “He is a god,” said a bartender as he topped Brinkhoffs. “Grown men were crying when he told us he was leaving.” The desire to see the manager that spent seven years helping build BVB into one of Europe’s most feared, fun and fashionable clubs up close again has been as strong as the club’s form since December. The yellow wall had said thank you and goodbye to ‘Kloppo’, but they now have their wish of saying hello again as the clubs who are far apart in distance, but similar in so many respects will face off in the quarter-finals of the competition. It wasn’t just the familiar face in the dugout that contributed to the attraction of facing Liverpool on a European night. “It will be a win for atmosphere,” explained a patron at an old-feel pub called Pfefferkorns. Can you imagine a sold-out Anfield and a heaving Westfalenstadion singing You’ll Never Walk Alone in unison? Supporters of both sides can. There is no Champions League tie in April that will match the two-legged encounter for excitement and interest the world over. The team that Klopp built against the one he is building. Thomas Tuchel, Dortmund’s current boss, called it a “dream draw” and that is no exaggeration. "We want to measure ourselves against the best, and we will meet again a top opponent,” he said. “For all football fans this is a dream draw; for us this is sporting a huge challenge. We will need two top performances to progress and look forward to two games at the highest level." Tuchel is regarded as one of the best tactical minds in the game and is tipped to be chased by top Premier League clubs soon. But at BVB, he is still largely in Klopp’s shadow. Supporters respect their current manager but truly, madly, deeply love their old one. For Tuchel, the battle will perhaps represent more than a chance to progress to the semi-finals, it will offer a chance to strengthen his own image and standing. 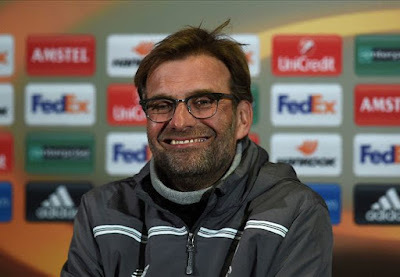 For Klopp, it is an opportunity to test Liverpool against a standard he instilled at BVB. They are a slick, well-balanced, cunning side that will present the toughest challenge of his reign thus far. The Reds have shown the ability to execute Klopp's full-throttle approach, and will have to operate at their maximum against Dortmund. Manchester City, Manchester United and Chelsea have all been beaten under the German, who has urged a switch from "doubters into believers". For supporters, this tie equals two unforgettable nights far beyond whatever happens on the pitch. Borussia Dortmund against Liverpool in the quarter-finals of the Europa League - file it under ‘do not dare miss’.